Ragworms were @SpeciesofUK from 23rd to 29th September, 2013. 'Ragworms' are a group of about five hundred species worldwide that make up the Nereididae family, split into forty-two genera. They are mostly found in marine environments. Ragworms are found in abundance in UK estuaries and along sandy or muddy shorelines, where they live in U- or J-shaped burrows up to 20cm deep. 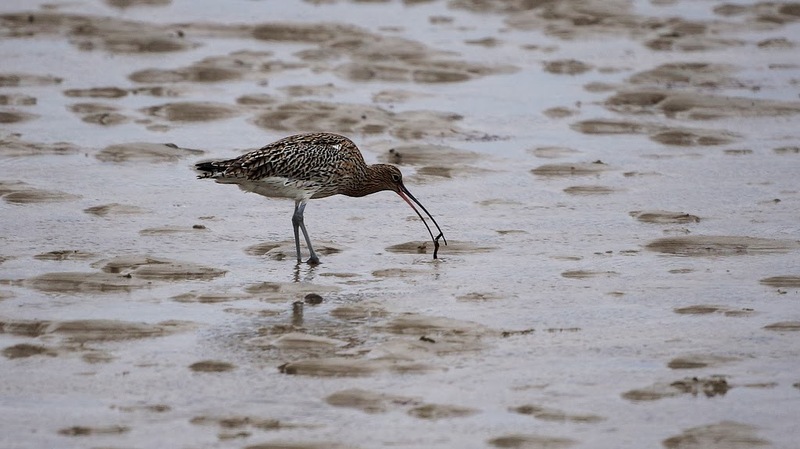 Ragworms are important prey for UK wading birds because of their abundance. They're the main prey for at least fifteen different UK bird species. 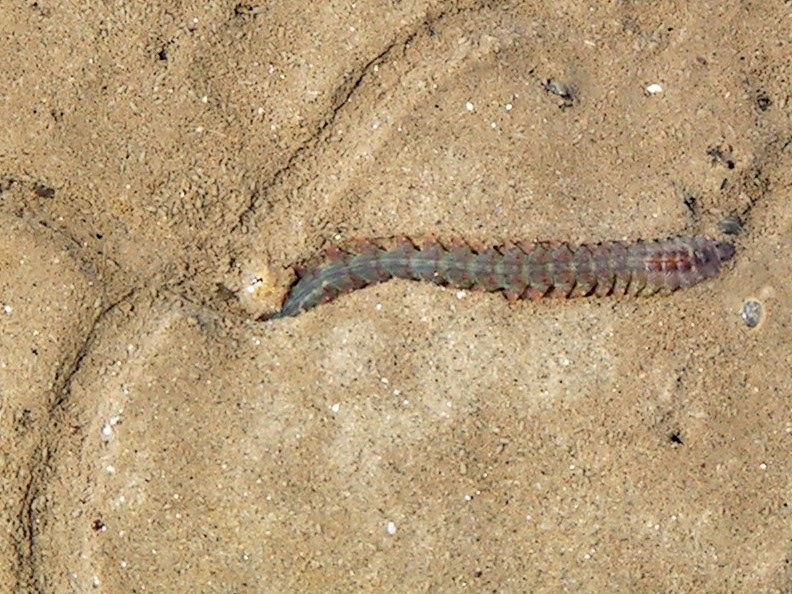 Ragworms are a type of ‘polychaete’ or ‘bristle worm’. 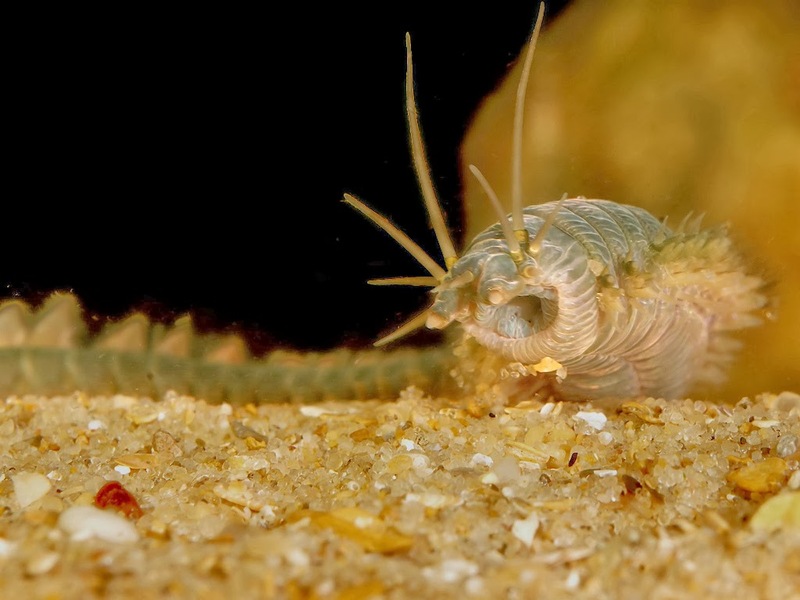 Polychaete worms are made up of body parts that have pairs of fleshy protrusions called ‘parapods’ or swimming legs. Each of these parapods bears many bristles or ‘chaetae’ which are made of chitin and are used for crawling and swimming. 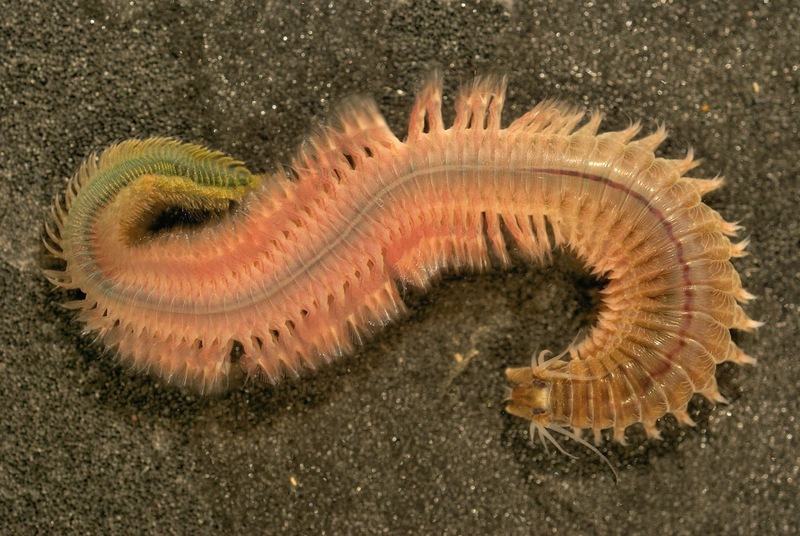 Polychaete worms can be collectively referred to as ‘bristle worms’. 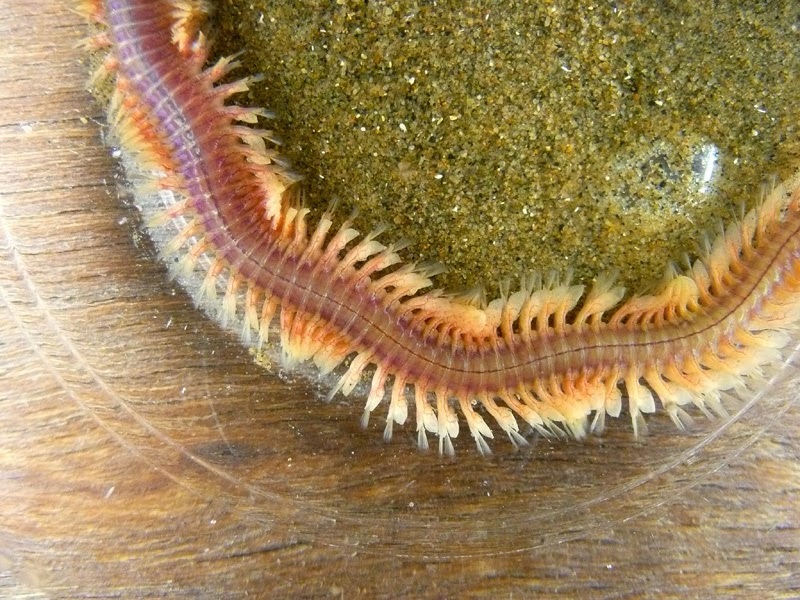 Other bristle worms that share a similar structure to ragworms include lugworms, clam worms and sand worms. Almost all bristle worms are found in saltwater, with around 2% of species preferring freshwater. They range from the surface to the ocean deep. A 2cm bristle worm was even found by a probe at Challenger Deep, the deepest known spot in the ocean. Ragworms have long, often flattened, bodies comprising of a hundred or so segments. Each body segment carries the pair of bristly parapods typical of all polychaete worms. At the ‘prostomium’ or head end, ragworms have a toothed proboscis, four eyes, antennae, tentacles and two bulging ‘palps’. At the tail end, there is a pair of filaments. 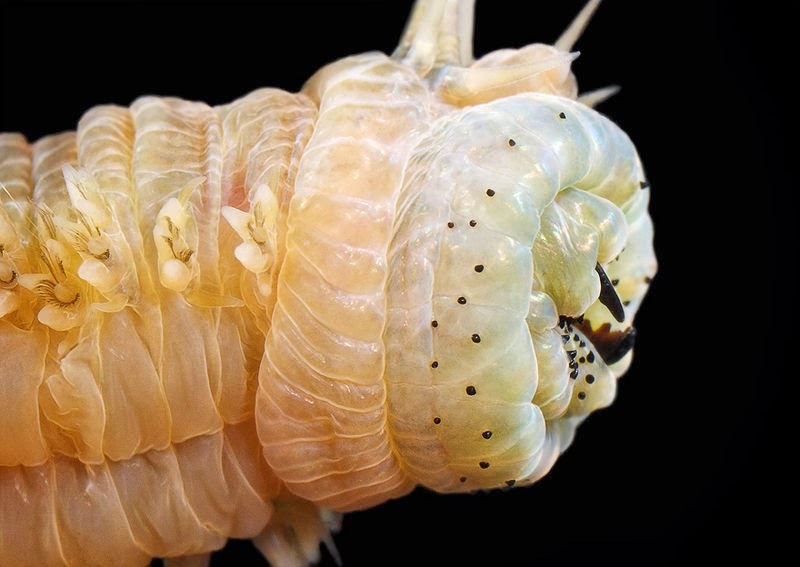 The ragworm’s party trick is turning its gut inside-out. Ragworms have an ‘eversible pharynx’, meaning the front of their gut can be turned inside-out and thrust out of the mouth as a proboscis to grab prey. When the pharynx is everted, it consists of two portions, with a pair of strong jaws on the distal portion and usually with conical teeth on one or more areas of both portions. Ragworms occasionally bite people when disturbed. The bite feels a bit like that of a bee sting. The teeth are made of a very tough but lightweight material. Rather than calcium, they are formed by a histidine rich protein, with bound zinc ions. It's actually been suggested that further study of ragworm teeth could lead to breakthroughs in the design of lightweight construction materials. Some ragworms are active hunters or scavengers of other invertebrates, while others feed on algae. Ragworms change shape in order to breed. 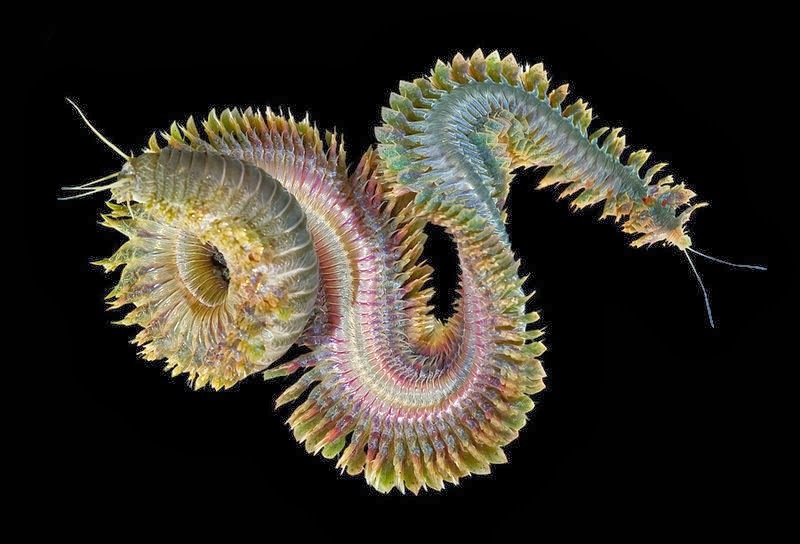 Ragworms transform into ‘epitokes’ when they are ready to breed. An epitoke is a morphed version of the ragworm in which the digestive system disintegrates and the parapods change from crawling appendages into paddle-shaped swimming appendages. This process is called ‘epitoky’. Ragworms spawn in the spring, when they gather in swarms. The female broods eggs, which grow and eventually rupture her body and are released. The males are attracted to the area by pheromones and discharge their sperm to fertilise the eggs. Ragworms can live for one to three years depending on how fast they reach maturity and spawn. After spawning, both males and females die. The UK has several common species of ragworm. 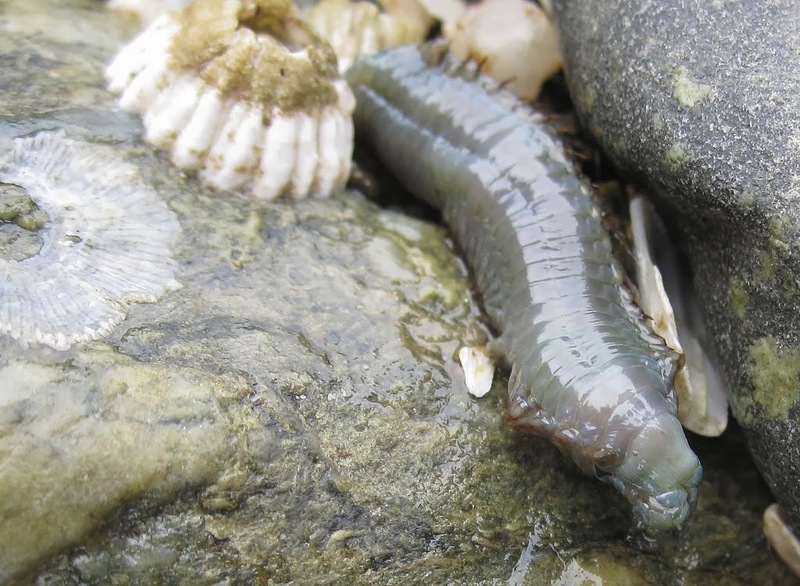 One very common UK ragworm is the Estuary Ragworm, Nereis diversicolor or Hediste diversicolor. The estuary ragworm is active, flattened in shape and very 'flabby.' It lives in a burrow in muddy sand, often in estuaries (hence the name). It is variable in colour, typically appearing reddish brown but turning quite green during the spawning season. The estuary ragworm is both a scavenger and predator, feeding on mud, detritus and plankton but also hunting other soft-bodied invertebrates. It can also feed by spinning a sticky net in its burrow and undulating its body to create a current which traps phytoplankton. The most spectacular of UK ragworms though is surely Alitta virens, the so-called King Ragworm. The king ragworm grows to 25cm, making it unmistakable as an adult. It burrows in muddy sand, often in estuaries or sheltered bays. It is green with a metallic sheen. 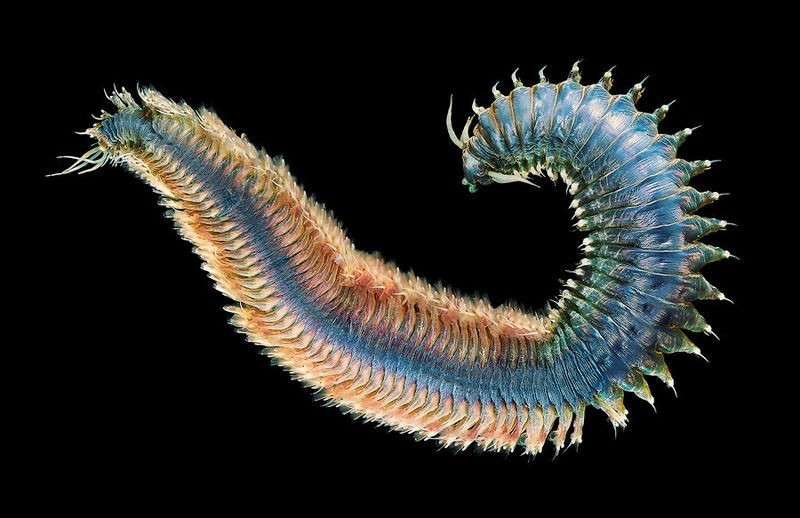 The king ragworm is the most widely used ragworm for fishing bait, for which it is commercially bred. 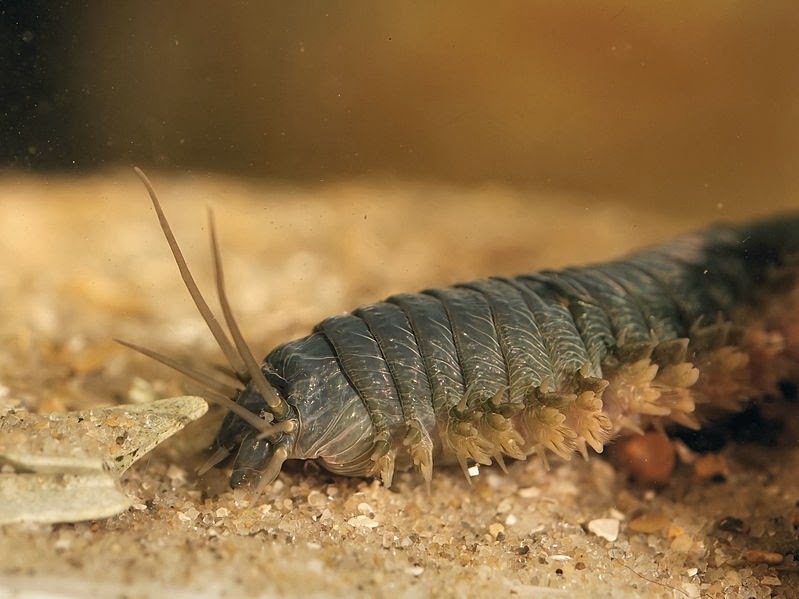 Other UK ragworm species include Perinereis cultrifera which is greenish-brown and found under stones and in crevices, and Nereis pelagica which has large palps on its head and a metallic sheen. Ragworms are tuned to the lunar phase. They reproduce in synchrony at distinct times in the moon phase (e.g., a new or full moon, depending on the locality).